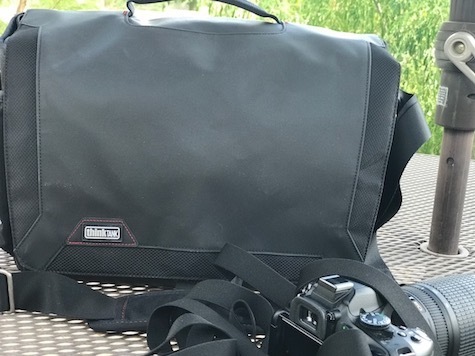 Spectral 15 is the perfect traveling companion for trips when you want to carry the basic necessities for good photos without burdening yourself with 50 pounds of gear. I used Spectral 15 from Think Tank to carry two Digital Single Lens Reflex (DSLR) cameras and a 300mm Nikon zoom as well as an 18-55mm Nikon kit lens. I added a few spare batteries, a lens brush and extra memory cards and could have included a 10 inch tablet and other accessories. 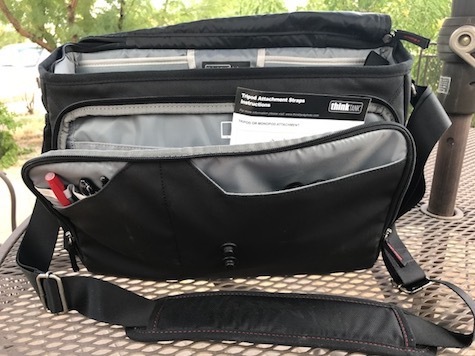 There’s also a sleeve that can accommodate a 15” laptop and a mesh side pocket that will hold an iPhone or a bottle of water. I found plenty of room for my charging cable and headphones. 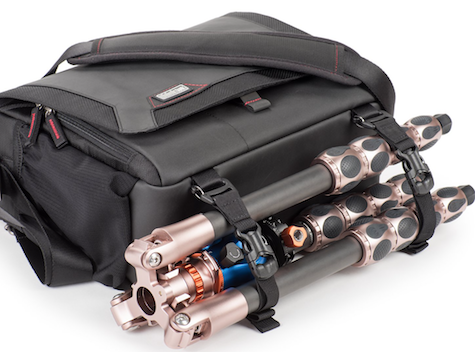 Like every other Think Tank bag I’ve tried in the last few years, the Spectral 15 is made with high quality materials. Superb craftsmanship is evident in the zippers and tight stitching around every compartment. The base is made of waterproof tarpaulin. The Spectral 15’s outside flap locks in place with a magnetic latch. 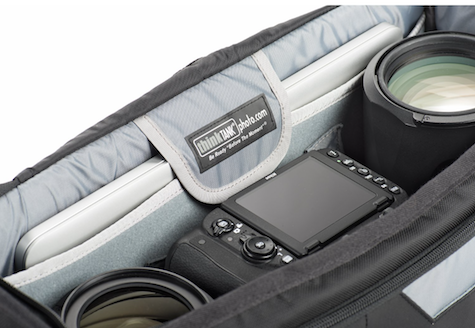 Under the flap there’s a zippered compartment that protects your gear from rain and dust. 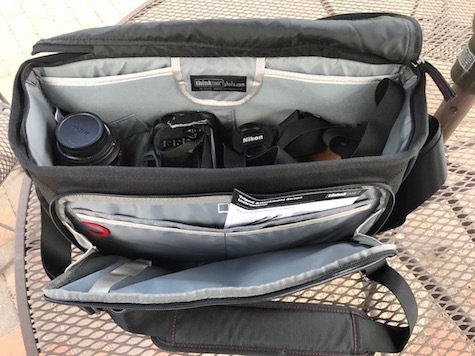 That zippered flap can be tucked away inside the pack, making it convenient to access your gear with one hand if you’re walking around and need to change lenses with a minimum of fuss. 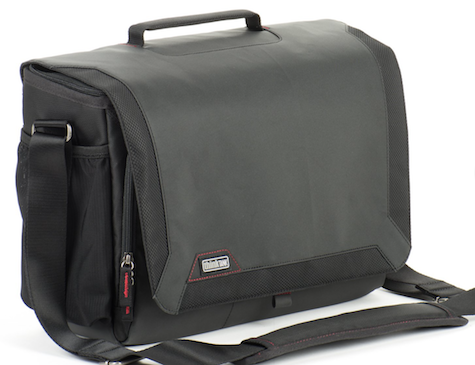 This case has a padded handle at the top as well as an adjustable padded shoulder strap. I prefer to use it as a cross body strap because I’m round-shouldered. The bag will work well either way. The 9.5” shoulder pad makes the strap comfortable no matter how you use it. If you’re carrying a small tripod, straps are provided for connecting it to the bottom of the pack, a design decision that may be less than ideal in practical terms. The Spectral 15 is suitable for professional photographers as well as casual shooters and it is an excellent value for the price.